With the snow melting quickly and muddy earth starting to dry, we at Run Junkie have been hitting the trails hard after a long, ascetic winter. And we finally feel ready to pass judgment on this year's new batch of trail running shoes. Today, we take a look at Asics' 4th edition of the light, stable, and durable Gel-Trail Attack. Not wanting to mess with a good thing, Asics showed good sense and didn't change too much from its previous version. The most notable differences are the brighter colors (picante & sun), the less integrated (and more comfortable) tongue, and a more complex tread that seems to work just as well, if not better than, the previous pattern. Looked at on its own terms, the Gel-Trail Attack 4 (retail $80.00) doesn't have much at all to dislike. For being such a light trail shoe (10.9 ounces), it handles well on tricky, steep single track descents and has fairly good toe-bump protection. It has enough cushioning and support to handle a long stretch of pavement on the way to (or coming back from) the trail. And it just feels good on - key to any shoe you'll be wearing in the wilds for hour after hour. If it has one major drawback, it could be that it's just not beefy enough to hold up to big big miles week after week in the backcountry. In many ways, it's a racing flat for the trail, and if you feel you're going to be pounding out 80 - 90 mile weeks up and over mountain passes you might want to look for something with a bit more substance. 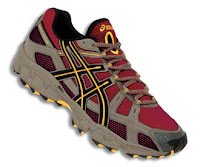 But, if your goals are a tad more modest, the Gel-Trail Attack 4 is a hard shoe to beat. Fun little piece in the May issue of Running Times that looked at marathon finishing times and census data to come up with the top and bottom marathoning cities in the United States. Top three for marathon finishers per capita were Alexandria, VA; Salt Lake City, UT; and Minneapolis, MN. Leading the bottom was Gary, Indiana, which has a population of over 100,000 but had only 5 marathon finishers in 2006. 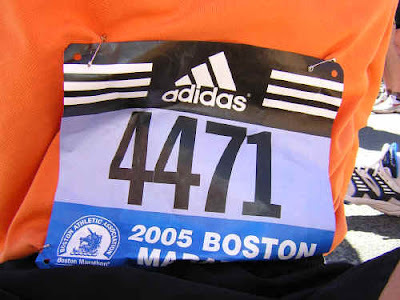 Looking at best marathon times, Cambridge, Massachusetts came out on top with an average time of 4:03:34. Next best was Pocatello, Idaho with 4:05:26. Third was Portland, Maine with 4:06:31. California swept the bottom ten cities for marathon times, with El Monte leading the leisurely with an average time of 6:03:19. To read the article you'll have to find a hardcopy of the issue. True to form, it's not yet available on runningtimes.com. Reigning Olympic Marathon Champion, Italian, Stefano Baldini, suffered a stress fracture during the London Marathon earlier this month (Eurosport.com story). Though the timing should allow for a full recovery before the summer games in Beijing, Baldini remains a bit pessimistic: "I don't want to make a drama but at this point it has complicated things. We are close to the Olympics and I think to get injured is not the best way to approach the Games." With the waves from Monday's Boston Marathon turning to small ripples, the New York Times ran a neat little follow-up piece today on slow would-be Boston runners poaching entries from athletes who had actually met the BAA qualifying standards (story). The story weaves tales of illicit eBay auctions, vigilante justice (runner style), and deep yearning to run the 26.2 miles from Hopkinton to the Boston Public Library. With only ten percent of all marathoners on certified courses meeting Boston qualifying times, it's understandable that some would go to great lengths to gain entry. This piece, though, may make both buyer and seller think twice. 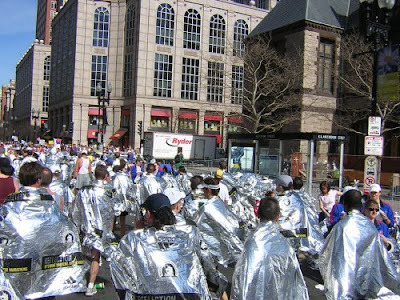 Everything that's needed to be said about the 2008 Boston Marathon has already been said, so there's not much left for us here at Run Junkie, except our quick blogroll on the eve of the 112th running. 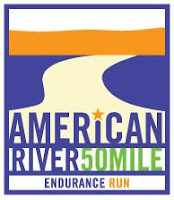 With February's registration meltdown now ancient history (past post), all seems set for Saturday's running of the 2008 Race to Robie Creek, the popular Boise-area trail half marathon (race site). About 2,500 lucky bib holders will toe the line for the challenging 2,000 foot climb and blazing fast 1,700 foot decent to the finish. The course is currently reported to be relatively snow- and mud-free, but the forecast for race morning calls for a chance of two to three inches of new snow in the mountains, with temperatures in the 30's and 40's. Map to the race start. At Run Junkie we love all the standard running mags, but our fondness for the Gray Lady is hard to hide as well. And today she didn't disappoint, with two good pieces. One on Ryan Hall's London Marathon, where he had the temerity to ask the pace-setters to pick it up at mile 16...and then immediately get dropped (story). And another piece on retired sprinter and former world champion Maurice Greene's apparent implication in the Trevor Graham doping case (story). Postscript: (4-15-08) In a surprise move, the IAAF puts full support behind Greene, despite some pretty damning evidence (story). Yes, this is a running blog, but those who follow it have been able to glean that we at Run Junkie definitely harbor fond feelings for our cycling brethren. In general, this has reflected itself in the odd link to VeloNews.com or mention of a cycling pro by name. Today, though, on the cusp of one of the year’s greatest and most exciting bike races, we’re coming out bold and devoting an entire, albeit short, post on bike racing. Sunday is Paris-Roubaix, the Hell of the North, a 259 kilometer (160 mile) bone-crunching one day bike race in and out of the cobble-stoned narrow roads of northern France. Often muddy, always exciting, it is a spectacle to behold, with some of the best of the best in endurance sport using mind, body, and seemingly levitation to conquer the cobbles, the conditions and their competitors. If you’ve never followed a bike race in your life, this is the one to start with. Check out these links to see what makes the Hell of the North the pinnacle for many in the pro peloton. Nice profile of marathoner Ryan Hall in today’s New York Times (story) as he gets ready for this weekend’s London Marathon (race site), a key waypoint on his way to Beijing this summer. The piece has some nice background on the 5’10” 140 pound former NCAA standout from Stanford; a good review of his past results; and a dash of insight into his recent training sessions (10 mile tempo runs at 4:48/mile!). With his current trajectory, Olympic hardware seems a real possibility. It's easy to get despondent about doping in sport, especially if you're a fan of running or cycling, each of which has been hard hit over the last few years by high-profile and particularly humiliating doping offenses. But, a telling graphic in an article in this week's Economist shows that testing works (story). No, it's not perfect - far from it - but from the time that out-of-competition testing started in the late 80's, the insane progression of speed and strength in athletes began to stanch markedly, falling to levels that seemed more believable, while still incredible. However heartening, this graphic was a small side story in the article. The real focus of the piece was a recently released study that showed some real chinks in the armor of testosterone testing. Turns out genes have a huge influence on who tests positive in initial urine tests for the steroid. Athletes with a defective copy of a specific gene can dose up on testosterone and still have a good chance of not testing positive in doping tests. Conversely, athletes with two full-functioning copies of the same gene actually have a chance of testing positive even when they're completely clean. The study, in the Journal of Clinical Endocrinology and Metabolism (link), should throw a few monkey wrenches into the mix this summer in Beijing, even while Floyd Landis enjoys a glimpse of sun in his otherwise cloudy doping appeal. Tragedy struck a marathon near the commercial capital of Sri Lanka today when a suicide bomber detonated himself just moments before the start (The Independent story). The bombing was thought to be the work of the Tamil Tigers. Scores were hurt, and several people were killed, including a government official. Continuing the trend set at the World Cross Country Championships (previous post), Ethopians placed well at the Paris Marathon today, taking first in the men's race and a close second in the women's (race site). Tsegaye Kebede won the men's race in 2:06.33. Martha Komu of Kenya won the women's race in 2:25.29, pipping favorite Worknech Tola in the final 200 meters. South African runner and double amputee, Oscar Pistorius, is appealing the ruling of the IAAF that his prosthetic blades give him an unfair advantage in open competitions. Their ruling would ban him from competing in the 400m at the Beijing Olympics in August. The Court of Arbitration for Sport will hear the appeal on April 29/30 (Eurosport.com story). With bad publicity swirling around the summer games--from Beijing's choking smog to China's crack down in Tibet and eco-political support for Sudan in the Darfur crisis--a feel-good story like Pistorius' could give a needed boost to the summer games, as Eurosport.com conjectured today (story). Below is Pistorius' run at the 2007 Golden Gala meet in Rome, originally aired on the Italian RAI network. Doping authorities can be forgiven if they feel they have a Sisyphean task. Forever two steps behind cheating athletes, a frustrating job it must be. But, today they may have gained a step (dare we say two?) with the World Anti-Doping Agency's announcement that a blood test kit for human growth hormone (HGH) can now be mass produced and will, therefore, be available for widespread use at the Olympics for the first time (NY Times story).